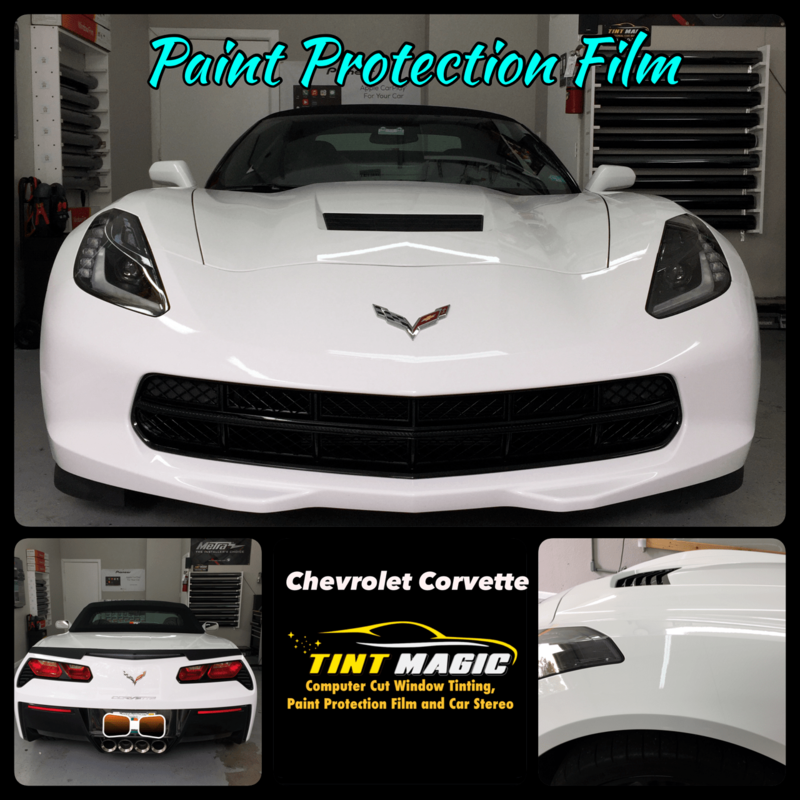 Chevrolet Corvette Paint Protection Film at Tint Magic Window Tinting Coral Springs. We have used SunTek Paint Protection Film to protect hood, fenders, mirrors and front bumper from damage caused by rocks, insects and road debris. Call us for a free estimate! (954)840-7883. We are located at 11344 Wiles Road Coral Springs, Fl 33076. With all the Z06’s go-fast bits except for the LT4 supercharged V-8, the GS proves that power isn’t everything. Our test car also lacked the Z07 package (carbon-ceramic brake rotors, upgraded suspension, nearly racing-grade rubber) and the competition seats. Combined, those options add $9990 to the price of a GS. The good news? You don’t need ’em.